Barring anything unlikely, the two major party candidates for president in 2016 will be Hillary Clinton and Donald Trump. Because of this, some Americans are still looking for third-party voting options that aren’t Clinton or Trump. They do exist, after all, which is great considering both Clinton and Trump are very unpopular (though Trump much moreso) among many voters. One candidate is Gary Johnson, the Libertarian Party candidate. The former governor of New Mexico, Johnson, like other libertarians, wants a smaller federal government, which results in a combination of “conservative” and “liberal” policies. He supports lower taxes and regulation, opposes gun control, and wants to eliminate the Department of Education, but he’s also pro-choice, anti-war and generally pro-immigration. Oh, and he wants to legalize recreational marijuana. 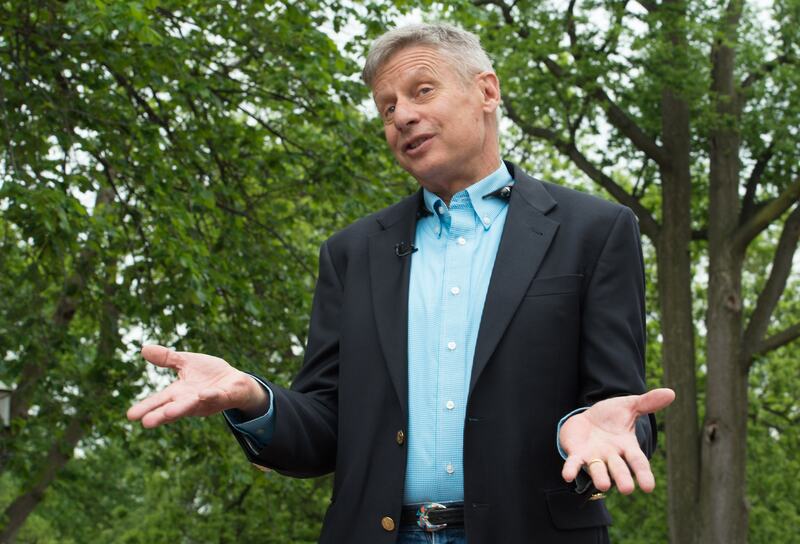 Although he’s always been libertarian-minded, Johnson was a member of the Republican Party during his governorship. He ran unsuccessfully for the GOP’s presidential nomination in 2012, and ultimately became the Libertarian Party’s nominee that year. His running mate is former Massachusetts Gov. Bill Weld. There’s also Jill Stein, a physician and the presumptive nominee of the Green Party. From a policy standpoint, Stein is similar to Bernie Sanders: She supports aggressive federal action against corporate fraud, wealth inequality, and climate change, including a full transition to renewable energy by 2030, and she's a proponent of single-payer healthcare. Interestingly, Stein also supported the Brexit, one of the few positions that puts her at odds with many progressives. As you can see, there’s quite a bit of variation between these three candidates and their policies. However, it’s worth noting that all three of them are in favor of abortion rights and LGBT equality, which illustrates that one can take several possible ideological routes and still arrive at those positions. Now, let’s be honest: None of these candidates are going to become America’s 45th commander-in-chief. Third parties simply don’t have enough resources or party infrastructure at the state, local, or federal level to make viable runs at the presidency. The most successful third-party candidate in U.S. history was Teddy Roosevelt, who’d already served as president and still didn’t come anywhere close to winning when he ran third-party. But it’s always good to know what all of your options are, and these three candidates are certainly options for anyone who’s still undecided about who to vote for in 2016.